from Gerald Lawson with Lawson Engineering and Consulting, Inc. (Autumn 2017). The interchange project was managed by TDOT. 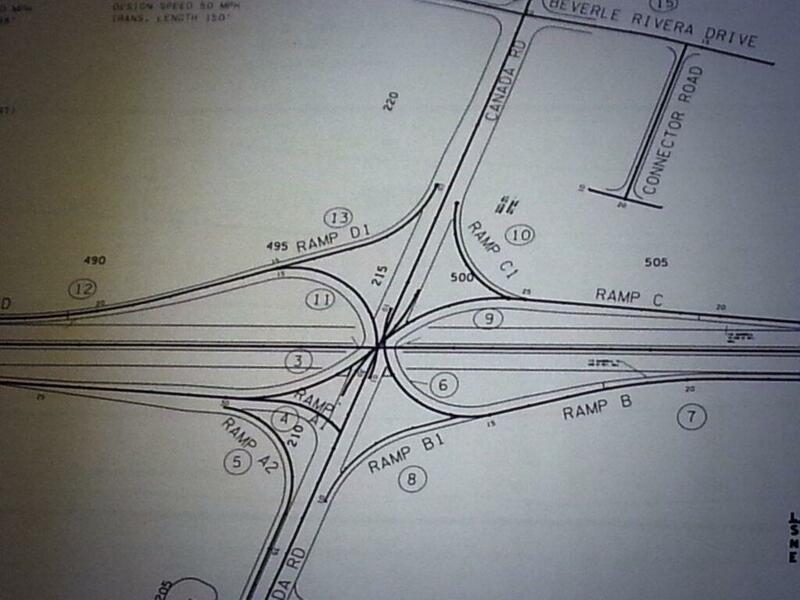 Lanes on I-40 were built with 2 extra lanes at Canada Road for eventual expansion to 6 lanes to 385. 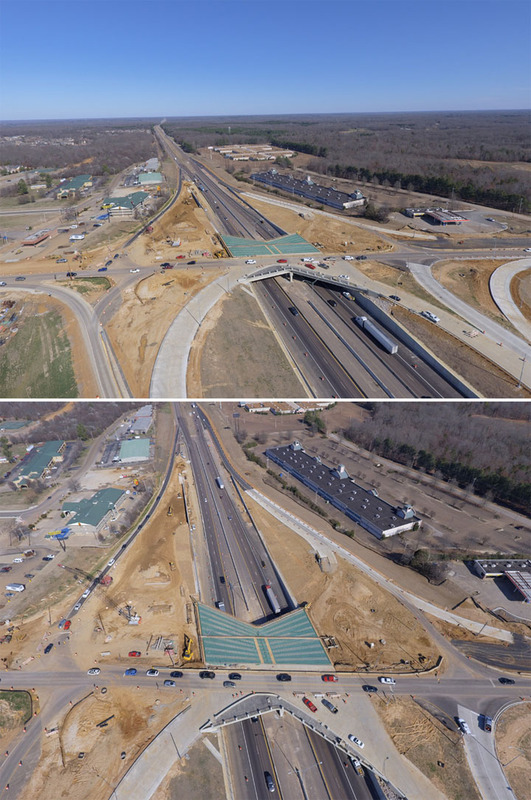 The connector from Huff-n-Puff to Beverle Riviera was part of Phase 1 of Canada Rd/I-40 project with a signal. This design is free flow and is more efficient & safe. All right lanes do not stop. The View 38002 articles regarding the interchange project, here and here. 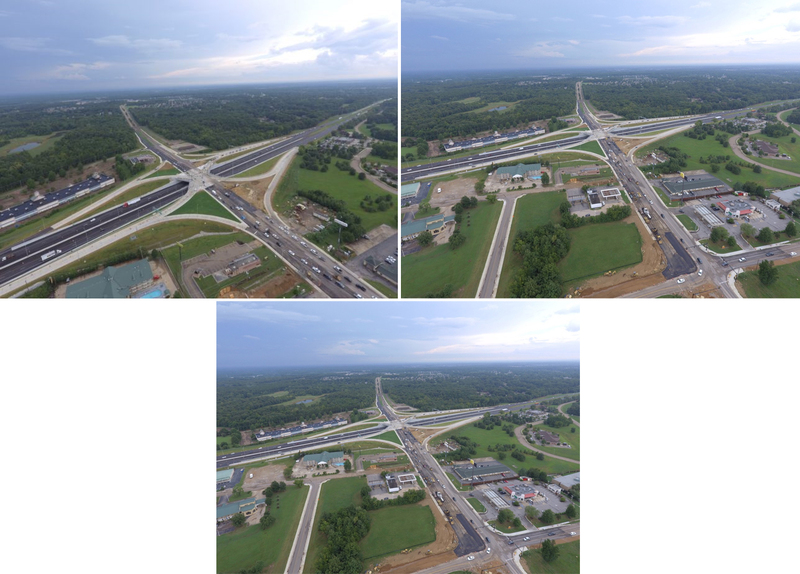 LAKELAND, Tennessee (August 2, 2014) – The Canada Road/I-40 Interchange Project broke ground this month. This design is free flow and will be more efficient and safe. Lanes on I-40 will be built with two extra lanes at Canada Road for eventual expansion to six lanes to I-385. This project will be constructed in six phases and will take approximately two and a half to three years to complete. The estimated completion date is May 31, 2017 with a total cost of $28.2 million. At a July 10th public meeting, TDOT officials and engineering and construction firm representatives were on hand to present the project timeline and other details as well as address concerns. One of the questions addressed was would interchange ever be completely closed during the process. By winter, construction on the western half of the new bridge will be underway. The old bridge will remain open to traffic but at times, be rerouted. 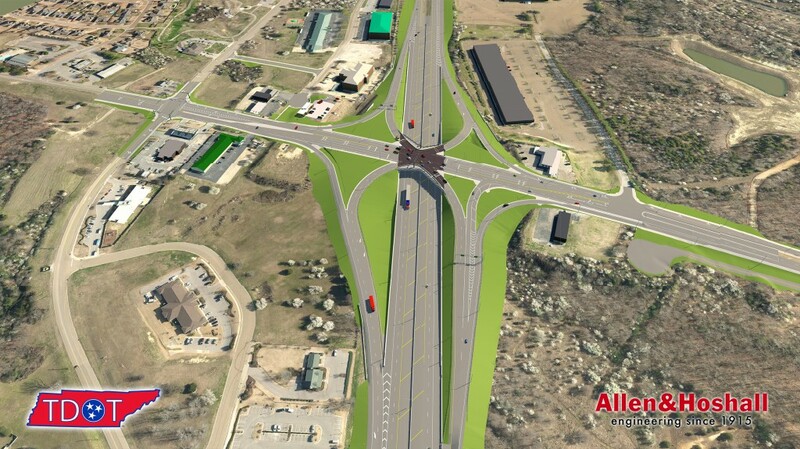 “The proposed improvement will consist of replacing the current interchange with a Single-Point Interchange which involves building a new bridge over I-40 and widening a 0.54 mile section of Canada Road. Canada Road will be two lanes in each direction with several turning lanes and curb and gutter,” according to TDOT. The western end of Huff-N-Puff Road will be closed during Phase One. Traffic will be re-routed through a new connector street to Beverle Rivera Drive located immediately behind the Shell gas station. The City of Lakeland will be responsible for the extension of the eastern end of Beverle Rivera Drive to connect with Huff-N-Puff beginning in the summer or fall of 2015.